Homeowners insurance Cincinnati Oh – What are the Pitfalls? What Are the Pitfalls When You Buy Homeowners Insurance Cincinnati Oh? Looking for homeowners insurance in Cincinnati Oh? If so call the home insurance experts at 513-662-7000 or for an instant rate quote click: Homeowners Insurance Cincinnati Oh. You Need to Be Aware of Certain Pitfalls When You Purchase Homeowners Insurance. 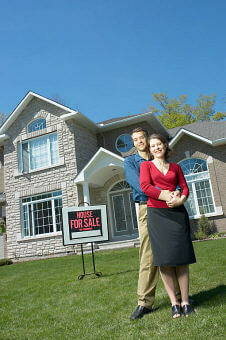 The most commonly sold policy by insurance agents is the HO3 policy. It’s likely that the policy you have purchased is the HO3. There Are Significant Drawbacks to the insurance Policy Form HO3, What Are They? The HO3 homeowner’s policy only protects your personal contents or personal property on a named perils basis. Basically what that means is that if your personal contents are damaged or destroyed by some type of event or occurrence. Whatever caused the damage or destruction must be named in the policy to be covered. Hence named perils coverage. Click here to review what is typically covered by a named perils policy. One Example of a Personal Property Claim Not Covered by the HO3 Homeowner’s Insurance Policy. Claim Scenario–You own several valuable pieces of jewelry including your wedding ring that your husband gave to you with a value of approximately $1000. The first thing that you do after you step out of the shower is to put on your wedding ring before you go shopping. As you open your jewelry box to retrieve your wedding ring you can’t find it. In a bit of a panic you look in the kitchen, then the spare bathroom you cleaned yesterday. You call your husband at work and he tells you he hasn’t seen your ring laying around he then suggests it may have fallen down the pipes, so you call Henry a neighbor who is a retired plumber to see if he could disconnect the pipes. Henry comes over disconnects the pipes but can’t seem to find your ring. Your husband suggest that you turn a claim into your homeowners insurance company and two days later an insurance claims adjuster calls you to let you know that your policy does not cover mysterious disappearances as it is not a named peril on your homeowners insurance policy. There are literally hundreds of different claims scenarios that a homeowner could find themselves in which a claim denial would result when you own the HO3 Cincinnati Homeowners Insurance Policy. When looking for Homeowners insurance Cincinnati Oh, you need to keep in mind that is not as easy as comparing the price that you pay for the insurance. Call 513-662-7000 to discuss your insurance needs with our insurance experts, or click here to receive online home insurance quotes in all 50 states.